Looking for Beautiful Paving for the Garden? Spring is a great time to give your garden a fresh look and enhance its visual appeal. What better way to bring a modern look to your garden than Brazilian slate? Highly attractive and weather-proof, slate is a wonderful addition to any garden whether you’re looking to create a beautiful pathway, patio, or to decorate the tops of your walls. This type of natural stone can be used in so many creative and imaginative ways, with plenty of ideas to be found on our website and elsewhere online. 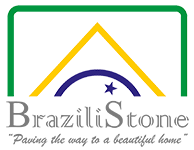 So, why choose your tiling or paving from Brazilistone? 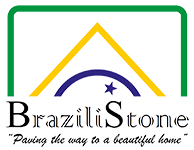 Brazilistone specialise in Brazilian slate that is responsibly sourced and imported directly from quarries in Brazil. Available in black or grey-green colour variations, our Brazilian slate paving slabs can withstand even the fiercest British weather and look as beautiful as they perform. We have slate outdoor paving in a variety of sizes, so whether you wish to create a uniform pattern with same-size tiles or desire a more creative pattern with different sizes, Brazilistone are more than happy to help. With prices starting from only £20.51, you can easily give your garden a new look for less. All our slate products come from our site in Oxfordshire. We can offer special bulk discounts so please get in touch today for a quote.